Description: A man's visit to the fortune teller. 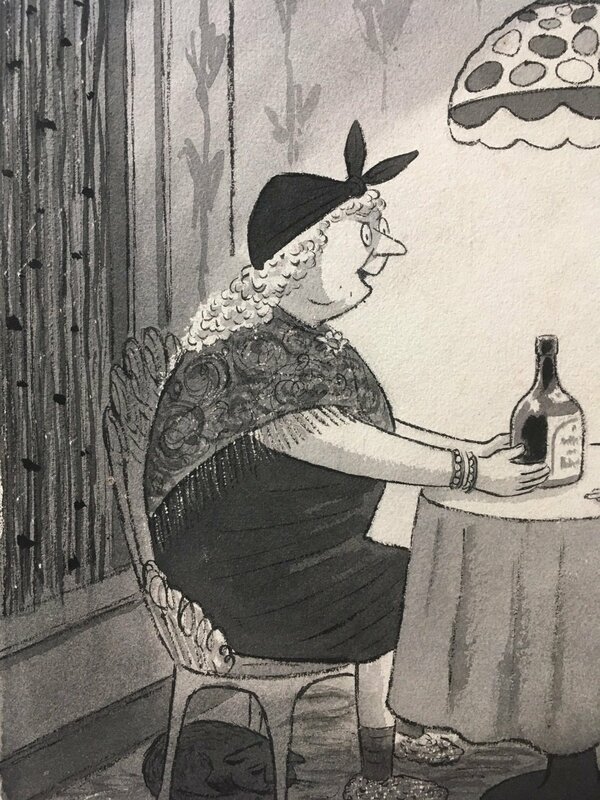 Comment: During his period of greatest popularity, Addams received commissions from a lot of advertisers, particularly in connection to his works for The New Yorker. Here's Chivas Regal stepping up to the plate. 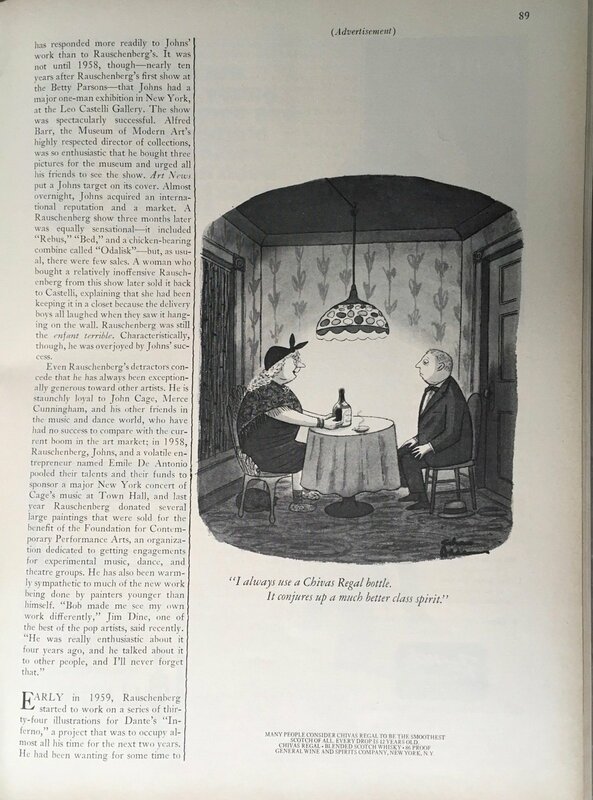 Very savvy marketing really… I would bet (currently and at the time, fifty plus years ago) that there was scarcely a reader of the magazine out there who didn't read all the cartoons. An advertisement masquerading as a cartoon was a sure fire way to get the public's attention. A full copy of the magazine is included with the purchase. Condition	 Very good… tastefully matted and framed and ready for the wall. Publication Information	 Advertisement for Chivas Regal. 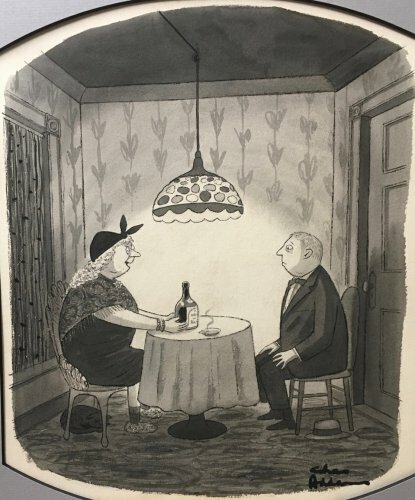 Appeared in The New Yorker for February 29th, 1964.